Despite the fact that Android devices by the boatload run circles around Apple’s Retina display panels, the Cupertino firm is nonetheless still considered to be one of the best in the business when it comes to display technological advancements. It was back in 2010 that the “Retina” branding was first used and at the time Apple was largely untouchable, but these days there’s just no escaping the extraordinary progress going on in the Android sphere. Things could be set to change quite spectacularly as of next though as Apple is reportedly toying with both 2K and 4K displays for the next round of iPads, which according to reports could make their first appearance as early as Q2 next year. Talk of the so-called iPad Pro has been hotting up ever since the summer, when it was first suggested that Apple will going very big inded in 2014…in more ways than one. A new report from the folks at Pad News in China talks of an iPad Pro with a gigantic 12.9-inch touchscreen, along with its supposed ultra HD resolution. the competition in display resolution and density, rumors now suggest that Apple will be working on two Retina Display tablets in 2014, one with 2K resolution and the other with 4K. These devices will reportedly come with a larger display, hearkening back to the iPad maxi and iPad Pro rumors from weeks back, and one may be out in the market as soon as April 2014. “Recently, we got some news about 12.9 inches of iPad,” the translation reads. In addition, the report also stated that the 2K version of the iPad Pro could already be in its late testing phases and therefore go into full production in time for a spring launch. As for the 4K device, chances are the upper-end iPad Pro won’t hit the market until the closing quarter of next year – not that it won’t be worth the wait, of course. To put 4K resolution into some kind of perspective, a 4K iPad would have to feature twice the pixel count of the iPad Air, meaning a full 4,096 by 3,072…something entirely unheard of in the mainstream tablet PC sphere right now. The Amazon Kindle Fire HDX 8.9 is considered to have the best display available on a tablet PC right now with 2,560 by 1,600 resolution – just to illustrate how far ahead of the pack a 4K iPad Pro would be. Nintendo Claims Wii U is the Console to Buy This Christmas – And They May be Right! It’s hard to ignore the fact that the Xbox One and PS4 are the joint talk of the tech town right now, but does this really mean that the Wii U is officially dead and buried? 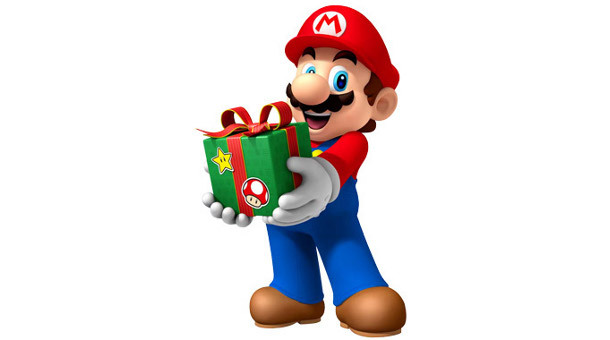 Not even close – Nintendo is plugging the hell out of its beleaguered console and still insists it is the console to invest in this Christmas. Whether or not the Wii U even comes into contention this year is a hotly debated issue – even Nintendo went on record as of late to accept its performance has been abysmal. However, this hasn’t stopped the iconic gaming brand from going on-record to state that the Wii U is in fact “the best choice this Holiday season”. We’d call that fightin’ talk of the highest order, but does Nintendo have a leg to stand or are they just blowing smoke? Take things back a couple of months…even just a few weeks…and you’d have been justified if you wrote the Wii U of as a complete and total disaster of epic proportions – the lost cause of the whole year. Right now though, Super Mario 3D World has done a rather excellent job of reminding the world exactly what these guys are capable of and the resulting spike in both sales and interest has been huge. And this is just a single game we’re talking about here – just imagine what will happen when a much larger range of top-tier titles arrives, as will be the case over the coming months. There’s no disputing the hardware and nor has there even been – it’s all about the games and the games are coming…soon. This likes of Wii Fit U, Pikmin 3 and The Legend of Zelda: Wind Waker HD are all helping to spur the second coming of the Wii U right now, but its renaissance is only just kicking off. Early next year will see the arrival of Donkey Kong Country: Tropical Freeze, Super Smash Bros. U and Super Mario Kart 8 to name but a few – the resulting interest in the console itself therefore is likely to be off the scale. For now of course, it’s highly unlikely that the Wii U will outpace the PS4 or the Xbox One over the Holiday period, but if you look at the race as more of a marathon than a mad-dash, there’s every chance the Wii U really could hold its own over the longer-term. Nokia has officially spilled the beans on the new Lumia 525 – a lower range Windows Phone 8 Smartphone that’s been swirling around the rumor mill for months. As expected, the post confirms that the 525 will be made available in its early days across selected markets only – one of which we’re afraid to say isn’t here in the US. Instead, folks looking for an affordable point of entry for the WP8 experience across Asia, Europe, Africa and the Middle East will have the chance to take home the 525. 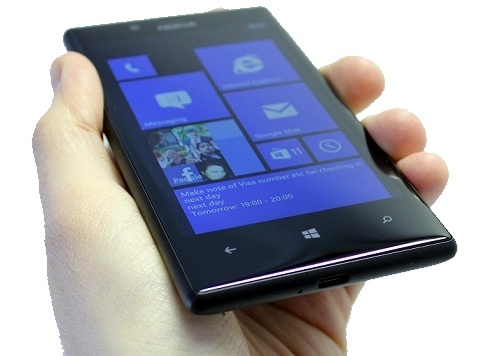 Or in other words, the 525 is following directly in the footsteps of its predecessor – the Lumia 520. Specs and features under the hood fall largely in line with what you’d expect from a modest mid-range player today. Power is served up courtesy of a dual-core Qualcomm Snapdragon processor running at 1GHz, along with 8GB of storage space for files and 1GB of RAM. Up-front you’ll find an 800 by 400 resolution touchscreen of 4-inches, while the back boasts a 5-megapixel camera – not the highest pixel count but we all know what Nokia is capable of camera-wise. The micro-SD card slot allows for up to 64GB of additional storage space to be added, Windows Phone 8 takes the controls and a battery measuring in at 1,430mAh is more than adequate. Add all of the above together and you have yourself a package that’s a million miles from jaw-dropping, but at the same time it isn’t supposed to be. When it lands, the 525 will take pride of position right at the bottom of Nokia’s Lumia pecking order and has been designed to attract as many floating voters as possible from Android and iOS crowds. And of course, it will be one of the cheapest Windows Phone 8 handsets you’re ever likely to come across – Nokia hasn’t confirmed its price yet, but if the 520 is anything to go by we’ll be looking at a price not much more than $200 off-contract. It’s hard not to think that the 525 would be a pretty successful piece of kit for Nokia should a US launch be planned for the future, but with no word on if or when this will happen, this is one budget-busting Smartphone you probably shouldn’t hold your breath for…sorry about that! Microsoft Hints It Could be Curtains for Windows RT – The Build that Should Never Have Been? Microsoft’s Windows RT didn’t win a great many friends when it first burst onto the scene and has endured a pretty turbulent existence ever since. Consumers didn’t really understand it, OEMs overlooked it in favour of the standard Windows OS and most devices carrying RT struggled to gain a footing…as continues to be the case today. Could it therefore be said that Microsoft should have never bothered with RT in the first place? Perhaps, as precisely such a sentiment seems to be shared by one particular Redmond executive who this week gave the hint that RT’s days are very much numbered. Julie Larson-Green, Microsoft’s executive vice-president of Devices and Studios, discussed the future of the Windows RT platform at a seminar earlier this week, stating at one point that calling RT ‘Windows’ in the first place was a big mistake. She described RT as Microsoft’s “first go at creating that more closed, turnkey experience” but would go on to admit that things hadn’t gone quite to plan. “We have the Windows Phone OS. We have Windows RT and we have full Windows. We’re not going to have three,” she said. “Windows on ARM, or Windows RT, was our first go at creating that more closed, turnkey experience [like the iPad], where it doesn’t have all the flexibility of Windows, but it has the power of Office and then all the new style applications,” said Larson-Green while clarifying the intent and purpose of the failed OS. Microsoft is at present focusing more time and money than ever before on panning its rivals at every possible opportunity. 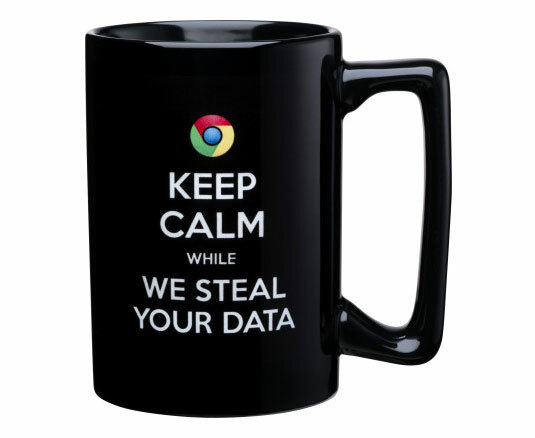 Suffice to say, the latest example in the form of “Scroogled” products serves as the cherry atop a rather bitter cake, while a variety of TV adds continue to poke fun at anyone getting in Redmond’s way. As far as the merchandise goes, you can now pick up “Scroogled” caps, t-shirts, mugs and more – all designed to spread disdain for the web’s biggest player of all. 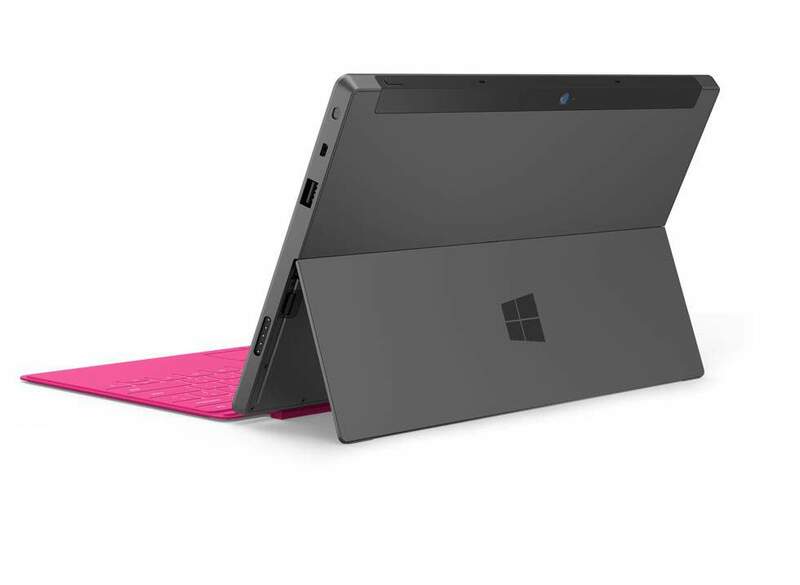 In addition, we recently caught sight of two new TV advertisements for the new Surface 2 tablet from Microsoft, which rather than boasted the merits of the Surface 2 instead tried to tear apart the iPad Air. And in another ad, some of the folks from Pawn Stars were taken on to slag-off Google’s Chromebooks for being vastly inferior to what it calls “real laptops”. Enough for the time being? 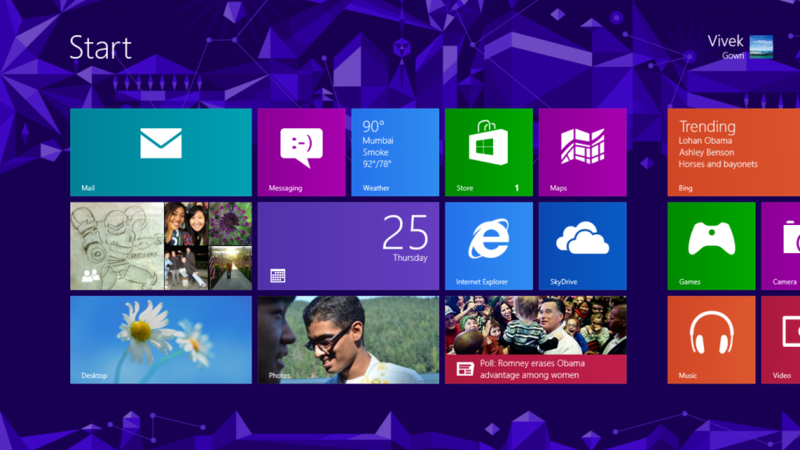 Of course not – now comes the latest example of Microsoft lashing out, this time in the direction of Samsung. Putting the two through their paces, you can pretty much guess which one Microsoft declared as the winner. One of the key points of focus is that of connectivity, which of course the Surface RT storms through with flying colours thanks to its full-size USB port. No such port on the Galaxy Note 3, so clear that RT is better…right? Of course, it’s unfair to accuse Microsoft of being the only major tech brand to favour name-calling over getting the plus-points of its own products across, but at a time when the Surface tablet range needs to drum up all the respect it can get, it just doesn’t seem like the most sensible way forward. After all, watch any of these clips and you’ll notice one glaring emission – any real detail on what the devices they’re trying to see can actually do! 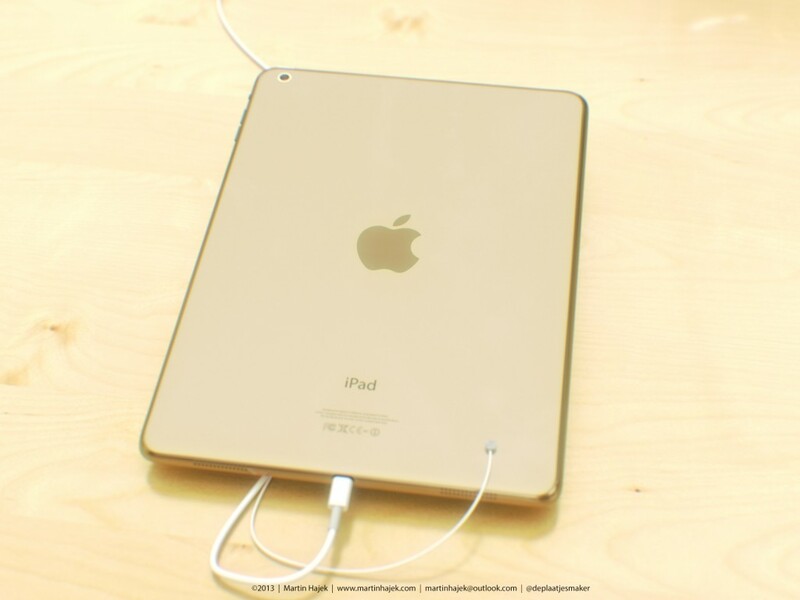 As such, is should come as no surprise to hear that the iPad 5 is also expected to arrive in the same golden color later this week – as presented here in this newly-floated rendering. Some called it a leak, but we’re not buying into fantasy here…it’s a mockup, plain and simple. Chances are it will split the masses right down the middle – half calling it a work of art and the other an abomination of the highest order. Nevertheless, there’s no reason to think Apple won’t go down the golden route with the iPad 5, so brace yourself either way. In terms of when to expect the latest iPad, the general consensus right now points to October 22 for its unveiling with the actual sales starting a while later…most likely the 1st of November. As for how the iPad 5 will hold its own again the rising tide of Android insurgents, we don’t have a great deal to work with thanks to Apple’s trademark silence once again being practiced flawlessly. Design-wise, it’s largely expected that the iPad 5 will more closely follow the design language of the iPad Mini – as in a smaller overall frame, a lighter makeup and the same screen size we’ve grown used to. Or on in other words, right in line with this and about a million other renderings. There’s also talk that the same launch event could be used to spring the new MacBook Pro range on us all, which would make for a very exciting launch party indeed. A few months ago, Microsoft spilled the beans on everything we needed to know about the second-generation Surface Tablets intended to right the many wrongs of the first round. Cold comfort can be taken from the fact that it would be difficult for any slate to fair worse than the Surface RT and Pro did over the course of the year. However, the more Microsoft talked up the new-generation versions, the more we began thinking they had a fighting chance…which they do. It’s an impressive tale of huge improvements to performance, advanced hardware and an all-new name for the Surface RT – now known simply as the Surface 2. Which poses the rather pressing question at this crucial time – given the fact that the Surface 2 is by rights a Windows RT device, what was Redmond’s motivation for ditching the ‘RT’ branding? After all, you’d be forgiven for putting it all down to shame and embarrassment associated with the OS, which doesn’t exactly bode well for a new device running RT once again. So, as a means to make sure there’s no such confusion this time around, the Surface RT has been reborn as the Surface 2 and there’s no ‘RT’ handle in sight anywhere. First of all, it was far easier to work out the difference between the Surface RT and the Surface Pro than it would be for a newcomer seeing the Surface 2 and Pro 2 monikers for the first time. After all, there was technically speaking no Surface 1 in the first place. The difference between the Surface 2 and Pro 2 really is night and day – we can’t help but feel they’re only making the problem worse by naming two such different products so similarly. And as mentioned earlier, the fact that the ‘RT’ branding has been ditched entirely suggests to some extent that Microsoft is trying to sweep its struggling OS under the rug and out of sight. There was never any real doubt that Grand Theft Auto 5 would score big this year, but few could have guessed just how spectacularly it would go on to perform. GTA 5 has been on the shelves for no more than a few days, but has already made it clear how many records it is out to break. For those of you that raised an eyebrow when you first heard of the $275 million production cost of GTA 5, how about $800 million in sales during its first day alone? Yep, GTA 5 has come close to hitting the billion dollar mark in just a single day – performance that nothing else in the history of entertainment has come close to matching. 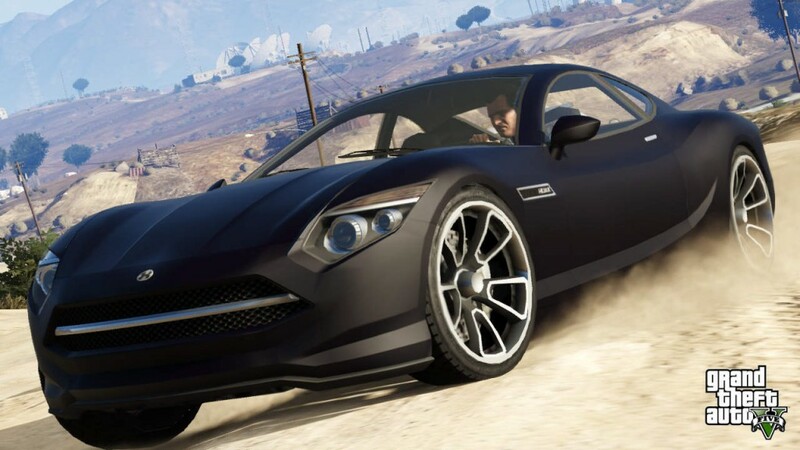 The news came directly from Take-Two Interactive yesterday by way of a statement, which confirmed that the GTA 5 had already raked in three-time what it cost to make the game in less than 24-hours. This makes GTA officially the highest earning game of all time, beating out Call Of Duty: Black Ops II which previously held onto the top-spot with earnings of $290 million. “Once again, the team at Rockstar Games have outdone themselves, setting the entertainment industry’s new standard for creativity, innovation and excellence,” said Take-Two boss Strauss Zelnick. Still not impressed? Well, consider the fact that plenty of the world’s most important and lucrative video gaming market still haven’t got their hands on GTA 5 – Japan and Brazil included. On top of that, it’s still largely plausible that additional versions of the title for Xbox One, PS4 and PC will be joining the affray over the coming weeks, so chances are we’re only just seeing the tip of GTA 5’s rather gigantic iceberg.